​Mike Enos, CPC, CPMA, CPC-I, CEMC has over 10 years of experience in the medical coding, billing compliance, and revenue cycle management field. Mike started by working in revenue cycle management in 2003. He began instructing medical coding and consulting in 2009. He has extensive experience in all aspects of the revenue cycle, and was a billing account manager for physician practices. After attending Rhode Island College and obtaining a Bachelor of Arts, Mike continued his education by pursuing four professional medical coding certifications from the American Academy of Professional Coders: Certified Professional Coder (CPC), Certified Professional Medical Auditor (CPMA), Certified Professional Coding Instructor (CPC-I), and Certified Evaluation and Management Coder (CEMC). Mike has developed a suite of online training courses on Evaluation and Management, ICD-10, and CPC preparation. Mike is experienced in medical chart auditing, in addition to teaching, and consulting. "Cloned Notes: The time is ripe to review your practice"
"If it wasn't done, don't document it: Tackling E&M coding errors in the age of EHRs"
Mrs. Enos has 30 years of operations experience in the ever-changing practice management field. Nancy joined Ingenix CareTracker (formerly LighthouseMD) in 1995 and served as the Director of Physician Services until July 2008. Today Nancy is an independent consultant and coding educator. As an Approved PMCC Instructor by the American Academy of Professional Coders, Nancy has provided consultative services and seminars in CPT and ICD-9 Coding, Evaluation and Management coding and documentation, Encounter form analysis, Chart Auditing, Compliance Plan Implementation, and various front office and clinical staff seminars. Nancy frequently speaks on coding, compliance and reimbursement issues to audiences from the provider community specializing in primary care and surgical specialties. Nancy is a Fellow of the American College of Medical Practice Executives. 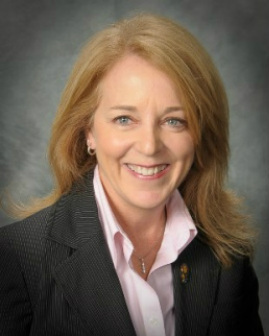 She serves as an independent consultant with the MGMA Health Care Consulting Group in Denver, CO. Nancy is a member of the Section Steering Committee for MGMA. She is the Founding President of the Rhode Island chapter of the American Academy of Professional Coders. These professional organizations provide continuing education to practice administrators and certified coders. "Preparation is key to ICD-10 success"
"The benefits of Electronic Health Records - a coder's prespective"
"The Transition From ICD-9 to ICD-10"
"Clinicians crucial to avoiding coding errors"